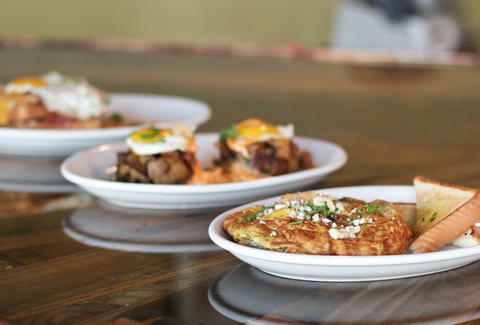 Praise the good lord (then pray to him for excellent cardiovascular health), because Bone Lick is blessing your Sundays with a pork-laden Gospel Brunch: chef Mike LaSage's holier-than-thou smorgasbord of surely devil-made eats fit for soothing/compounding the sins from the night before. 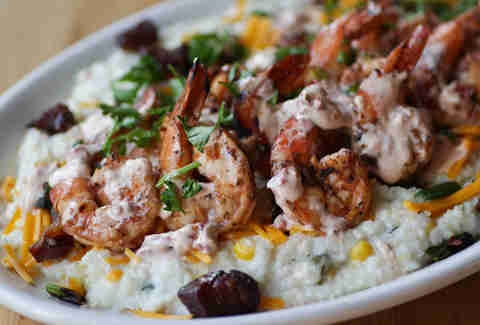 Start with a heaping plate of BBQ'd shrimp w/ thick house bacon, cheddar, and scallions on a bed a creamy stone ground grits & chipotle cream. 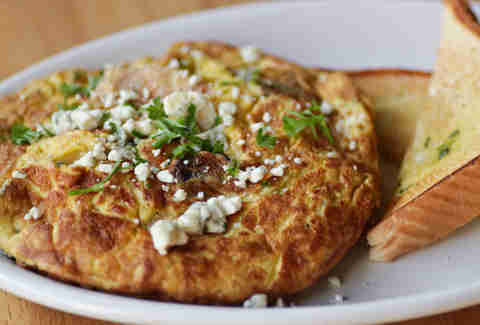 Get some egg on your face via the Whole Lotta Frittata w/ pulled BBQ chicken, onions, pepps, mushrooms, and crumbly gorgonzola. 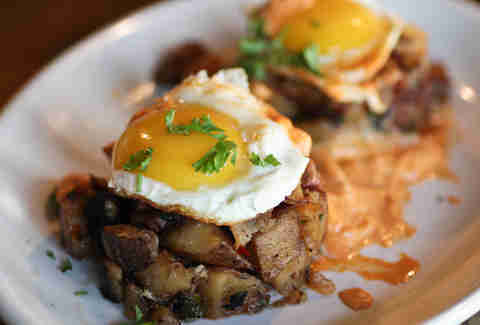 This Smoked Beef Hash combines cast iron skillet 'taters with burnt brisket ends, onions, and fresh herbs, then puts a little hat of a fried egg on it. Getting stuffed yet? No you're not. 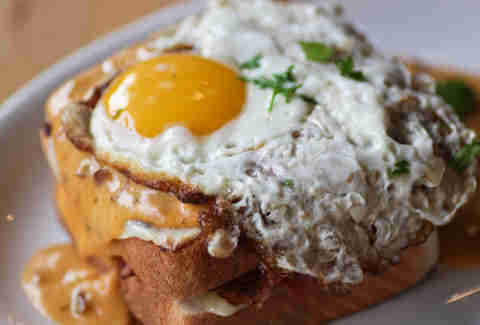 Now eat the the Cajun Croque packed full of house-cured tasso ham, melted swiss, and Louisiana hollandaise between two pieces of garlic toast. Yes, that's another fried egg on top. You have very good egg-related eyesight. And there there's the Hangover Muff, aka The Porkgasm, aka the best two names ever other than that that Batman Bin Suparman kid. 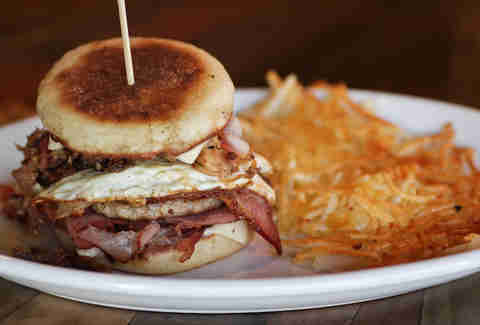 You're looking at cheese, on top of a sausage patty, on top of an egg, on top of bacon, on top of tasso ham, on top of pulled pork, all in between an English muffin.